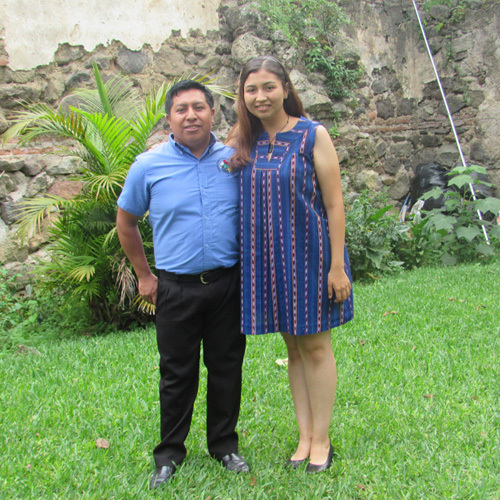 PLFM has created this program to have as its main focus the conservation and dissemination of Mayan languages. It’s multi-lingual, multi-ethnic, and pluri-cultural in nature. 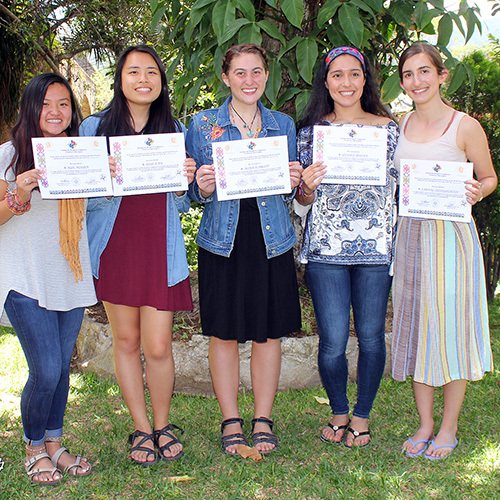 Seeing the need from many organizations, volunteers working in communities and those who have a personal interest in learning the Mayan languages, our school has created specific programs to teach the different languages. 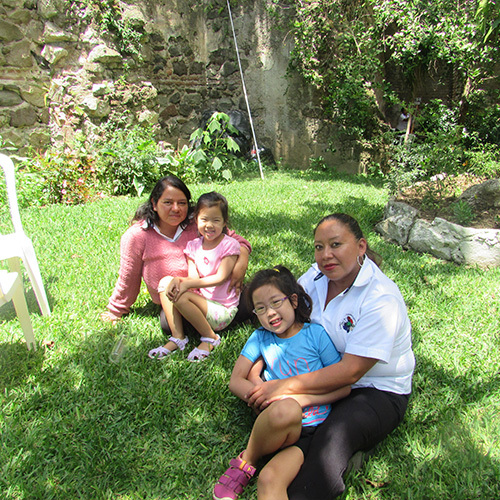 We have specialized native speaking teachers of each of the Mayan languages. Proyecto Lingüístico Francisco Marroquín offers a one-on-one total immersion program which is focused on conversation, comprehension, and writing. The manner of instruction is flexible depending on the demands of each student or university. The school uses teaching-learning methodologies, techniques, and various materials appropriate to the student. While developing their skills and abilities, our students will be able to converse with native speakers of the Spanish language, which will help them in their personal development in any profession. The instruction is personalized to assist the student in all their needs. When the course begins each student has an informal oral diagnostic evaluation performed by the teacher, which will serve to place the student at the appropriate level. This also determines if the student learns in a visual or auditory manner. At the end of each week the teacher prepares a written evaluation of the student that is used by the school to prepare a plan for subsequent weeks and to help in the development of the student’s learning. PLFM can develop a specific plan for each student or a syllabus for each university level, which will guarantee total immersion in the learning of the Spanish language while the student enjoys every aspect of the program. Are you studying to be Spanish teacher at a university? This course is designed for students who will be bilingual teachers in the schools of their own countries and who wish to improve their fluency and grammatical knowledge. Come to PLFM, as we offer a special program for you that will improve your skills. In collaboration with native Spanish speakers, you can learn to teach proper Spanish in a true and effective manner, even if Spanish is not your mother tongue. In this program, PLFM uses appropriate material to instruct people who are studying medicine, nursing, or who are already professionals in their fields. This course uses all the necessary resources for their specialty according to their needs and requirements. PLFM offers a program for children of 5 years of age and over. This program uses a technique of communicative learning, where the child learns through educational games, stories, readings, and songs. 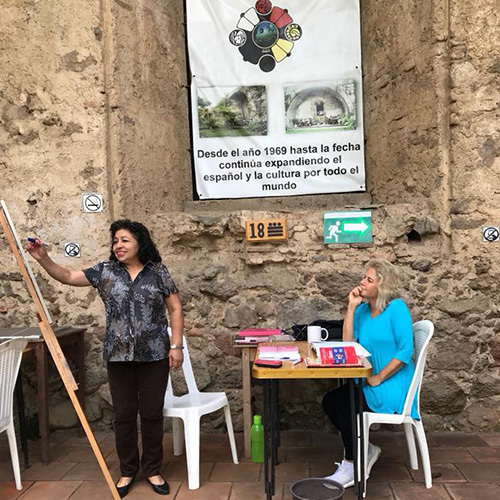 The Proyecto Lingüístico Francisco Marroquín school has a program for travelers who wish to take part in the daily life of the Spanish speaking world. This course in “survival” Spanish teaches you functional grammar. Also you will memorize important words and sentences which will make it easy for you to communicate in hotels, restaurants, travel agencies etc. By speaking in Spanish, even at a basic level, you can easily make the most of your trip. 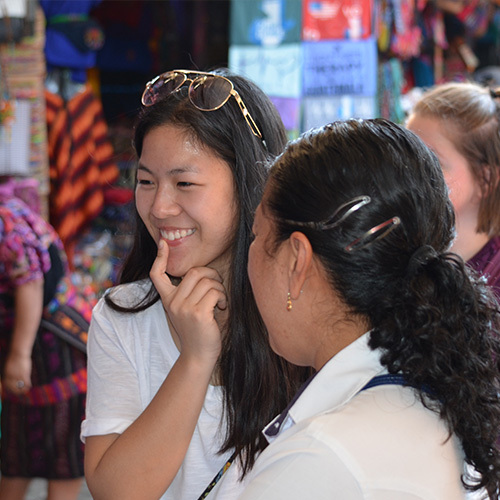 This will make your voyage an unforgettable experience when you can communicate with native speakers and learn about the culture and customs of each Latin country, for example Guatemala! We help you here with experienced teachers who are prepared with exercises that will help you practice your skills in realistic situations and increase your confidence in your ability to communicate effectively with Spanish speakers. PLFM invites all types of business professionals to participate in this specialized course which is designed to help you improve your communication skills with Hispanic clients and professionals. The school has the qualified and experienced teachers that are necessary to teach the business professional the Spanish language. Remember that you will see grammar, vocabulary, and subject readings according to your interests. 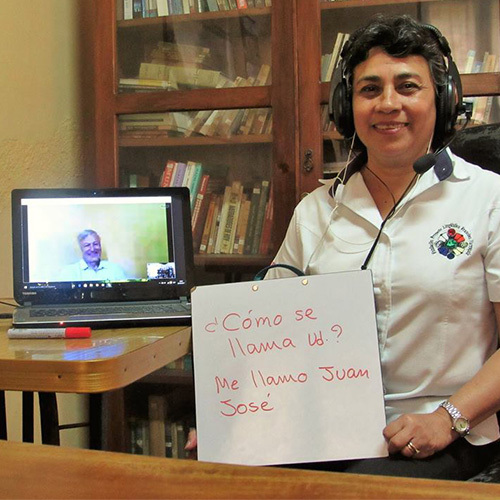 With this program, PLFM offers you the magnificent opportunity to study and learn Spanish from the comfort of your own home, office, or any place that has access to the internet. It is an incredible opportunity for you to communicate with native speakers of the Spanish language. Our goal is to help students achieve fluency through practice and consistency. The program will cover grammar, conversation, reading, and discussions of different topics. You will also have tasks or exercises to take away from your Skype session, so that you can practice your Spanish wherever you are and whenever you have any free time. All necessary material will be mailed to you before you begin your first class. You decide the hours and days in which you wish to study and we will provide the teachers. The school request students select specific days from Monday to Friday, from 7am to 6pm.